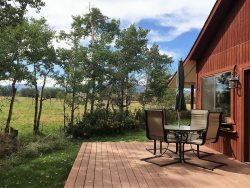 All the fun things you can do in the summer time in or near Red Lodge. Also, check out our year-round category too! Adventure Whitewater, Inc. as featured on ESPN, is a rafting company specializing in personal trips, owned by Marek Rosin who has over 30 years of experience as a professional whitewater guide. Adventure Whitewater is certainly qualified to provide you with the whitewater adventure that will be the highlight of your Montana vacation. In addition to being featured on ESPN and Outdoor Life Network, our company has been featured in the pages of Canoe & Kayak, Outside and National Geographic Magazines.... Come and see why the critics rave about Adventure Whitewater! All our guides are whitewater specialists, trained in wilderness first aid and swift water rescue. Their great personalities have them in demand each and every season. We are the Whitewater Specialist! We know how to have Fun! On the "wild side of Yellowstone" is one of the most scenic drives in the United States, the Beartooth Highway, a National Scenic Byways All-American Road, features breathtaking views of the Absaroka and Beartooth Mountains, and open high alpine plateaus dotted with countless glacial lakes, forested valleys, waterfalls and wildlife. The Beartooth All-American Road passes through what is known today as the Beartooth Corridor. Surrounded by the Custer, Gallatin, and Shoshone National Forests, traveling parallel to the Absaroka-Beartooth Wilderness, and abutting Yellowstone National Park, the Highway sits in a million-plus acre wilderness. Visitors have the rare opportunity to experience and explore pristine, untouched alpine and montane landscapes, lush forests, and alpine tundra in the space of a few miles. It is one of the highest and most rugged areas in the lower 48 states, with 20 peaks reaching over 12,000 feet in elevation. In the surrounding mountains, glaciers are found on the north flank of nearly every mountain peak over 11,500 feet high. The Road itself is the highest elevation highway in Wyoming (10,947 feet) and Montana (10,350 feet), and is the highest elevation highway in the Northern Rockies. Recreational opportunities abound in the Beartooth Corridor. Visitors can cross-country or downhill ski in June and July, hike across broad plateaus, and view and photograph wildlife including mountain goats, moose, elk, marmot, mule deer, black bear, grizzly bear, and wolf. Visitors also can take a guided horseback trip, fish for trout in the streams and lakes adjacent to the highway, and camp in the area`s 13 National Forest campgrounds. When the highway is formally closed to automobiles during the winter months, snowmobilers travel roughly the same route and enjoy a spectacular winter wonderland. The Beartooth Highway provides easy access to Yellowstone National Park at its northeast entrance. Three gateway communities - Cooke City and Red Lodge, Montana and Cody, Wyoming put you in the heart of today`s wild wild west. All three communities retain their western heritage then mix it with modern amenities to provide an unparalleled family western vacation. Third weekend in July every year, hear the rumble and have lots of fun! Play on a course that looks out over the beautiful Beartooth Mountain Range. Featuring a menu from the offerings of local farms and growers, Ox Pasture prides itself on our food-loving, devoted staff and a mercantile store ambiance. This summer seasonal dining you`re not going to want to miss! Beartooth Basin Ski Area is a ski area in the Shoshone National Forest on the Montana-Wyoming border in the United States. It is the only ski area in North America that is only open in the summer. It opened in 1962 and totals 600 acres at 10,900 feet. Just delicious Ice Cream! None of the filler ingredients. Matcha, Cardamom, Root Beer.. only some of the more uniquely delicious flavors alongside classic favorites.